You might already know that the NCLEX-RN score is different from other standardized test scores that you are familiar with. If you have heard that you don’t receive a percentage grade or some other numerical score, you might be wondering if your NCLEX score even matters. While the score itself doesn’t matter, the outcome of pass or fail does. One of the things that makes the NCLEX-RN unique is what it is testing for. The NCLEX is designed to test your competency to safely deliver nursing care. Because of this design, NCLEX only reports a score of pass or fail. The tests assesses if you can perform safely as an entry level nurse. Earning a passing score on NCLEX shows that you have the skills and knowledge to be recognized as a RN. In order to do this, the NCLEX-RN uses a unit of measurement called a logit. A logit compares your ability to answer a question with the difficulty of the question. The passing standard, according to the National Council of State Boards of Nursing, is actually 0.00 logits. What this means is that you can answer medium difficulty questions right at least 50% of the time. While many tests out there determine the score of the exam by adding up all the right answers, NCLEX handles scoring differently. NCLEX uses Computer Adaptive Testing (CAT). This kind of testing relies on the computer to give you different questions based on your previous answers. The test aims to give you a question that you have a 50% chance of getting right. If you get it right, the computer gives you a question of higher difficulty. If you get it wrong, the computer reduces the difficulty. Your test will continue in this manner until the computer is certain with 95% confidence that you can answer medium difficulty questions right at least 50% of the time. So, while there isn’t actually a good NCLEX score, the computer must assess your ability to answer these questions correctly. Answering these questions demonstrates your ability to provide safe, entry level nursing care. Another common method for scoring exams takes into account the total number of questions. But, with CAT, there aren’t a set number of questions. The most important part of scoring the NCLEX is that the computer be sure, using a 95% confidence interval, that you can answer the medium difficulty questions right at least 50% of the time. The NCLEX does provide a minimum and maximum number of questions. 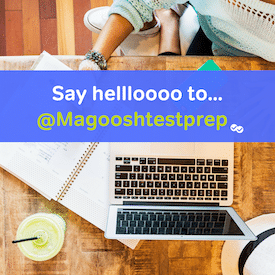 All candidates will receive at least 75 questions (15 of those are questions being tested for future use on the test) and will receive a maximum of 265. In other words, the computer will keep giving you questions up to the maximum level until it has determined your true ability to answer questions correctly within the confidence interval. As mentioned above, NCLEX reports scores as pass or fail. If you pass, there is no score report showing where you did well, where you struggled, or your actual logit score. If you fail the NCLEX exam, you will be sent a Candidate Performance report. This report will tell you how close you came to passing in each of the content areas. The good news is, even if you fail the first time, you can take the NCLEX again and your Candidate Performance Report can help you study! Even though it isn’t a score in the traditional sense, it is very important to pass the NCLEX-RN. Earning a “pass” score on this test is what gives you the ability to be licensed and practice as a nurse. What is a Good NCLEX-RN Score?